This was written a while back but I think because going gluten free is still so trendy, this carries an important message about how serious it can actually be. Many restaurants advertise gluten-free products on menu items. 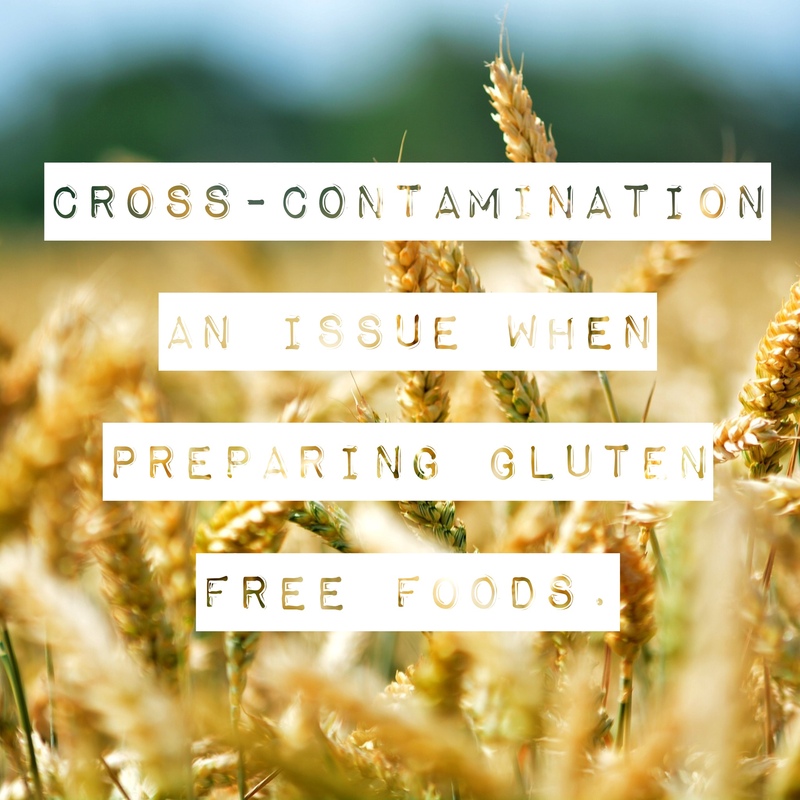 While this can be a help to people whose bodies cannot process gluten, these same products can be a health hazard if they have been accidentally cross-contaminated with gluten. Cait Hartford suffers from celiac disease. She says if she ingests gluten unintentionally her body reacts with various problems, including bloating, stomach pains and a suppressed immune system. The symptoms can last anywhere from two to seven days. Kathy Collier, chapter manager at the Canadian Celiac Association — Calgary Chapter, says even a crumb containing gluten that comes in contact with food can cause a person with celiac disease to feel sick. She says soap and water is the only solution for ridding surfaces of gluten. Both she and her youngest daughter suffer from the disease. Collier says sharing appliances and some foods with other family members used to cause her daughter to react. Collier says she and her daughter now separate their foods, utensils and appliances from the rest of the family. The duo has their own toaster, separate spreads such as margarine, butter and mayonnaise, as well separate water for cooking pasta. Kerry Bennett is the owner of Care Bakery. She also suffers from celiac disease and created the bakery out of a need to find gluten-free bread and baking products. She says the gluten-free movement has exploded in the past few years and has created many more options for those who cannot eat gluten. Bennett sells her breads and baked goods to various restaurants and grocery stores. She has created a cross-contamination guide (not able to link she explains in more detail in the piece) that she shares with the restaurants that buy her baked goods so that they too can avoid cross-contamination in their gluten-free products. Bennett says that there are many questions to consider in the kitchen when providing a gluten-free menu. What have towels and dishcloths been previously exposed to? Is gluten-free pizza baked on the same rack as other non-gluten items? Has gluten-free pasta been boiled in uncontaminated water? The Canadian Celiac Association — Calgary Chapter holds meetings for members and non-members every six weeks. They help people who are newly diagnosed get acquainted with the diet. Hartford adds more restaurants are working to improve conditions when offering gluten-free items. There are many restaurants that offer a gluten-free menu in Calgary. Care Bakery’s website also lists restaurants in Western Canada that offer gluten-free options.